I've made this recipe 2,000 times, but had never substituted the original recipe's main ingredient, orzo, until today when I needed to use up the ever-present summer staple — zucchini. Which, admittedly, had been hanging out in the fridge for way too long, but with no orzo I chose barley to stand-in and it works so very well. 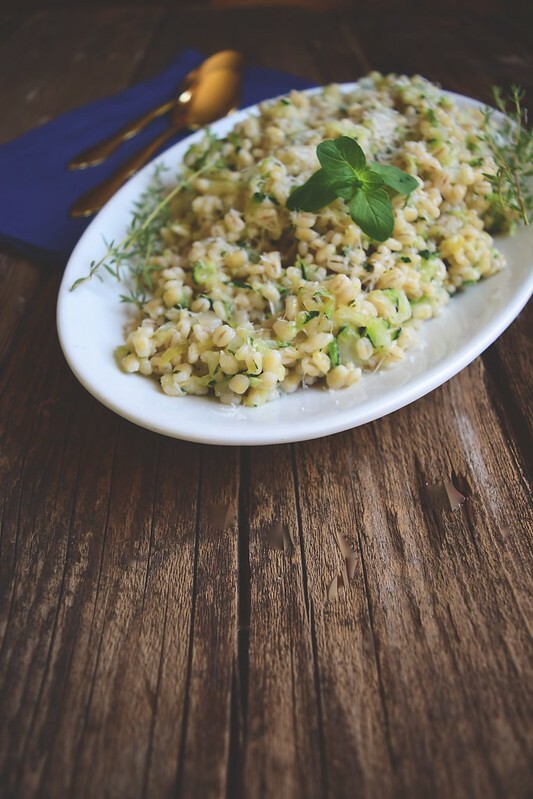 Barley has an excellent chewy texture, and super bonus — way more fiber and nutrition that orzo. Done deal. You've got to try this recipe, it's fast, tasty, uses up summer veggies and reheats well. Combine barley and water with a pinch of salt in a heavy-bottom sauce pan with a tight fitting lid. Place over medium-high heat, bring to a boil, reduce heat and simmer for 30-40 minutes, or until tender, but still chewy. Meanwhile, heat olive oil in a large skillet over medium heat. Toss in shredded zucchini and onion, season with salt and pepper and cook, stirring occasionally, for 5 minutes. Add garlic and herbs, stir and continue to cook until slightly golden brown. 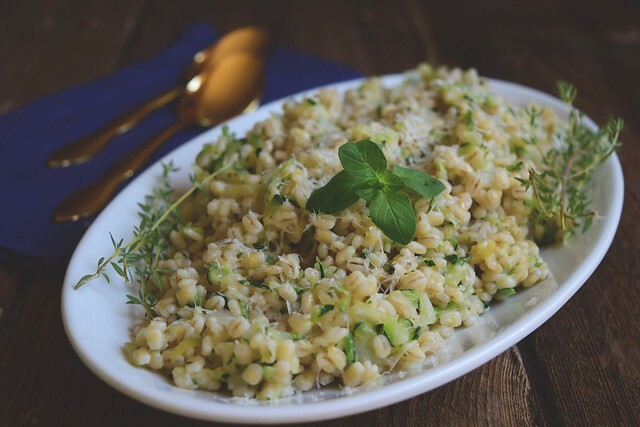 Toss cooked barley and Parmesan cheese into skillet, season with additional salt and pepper, and stir to combine. Serve hot or room temperature. Disappears fast. I'm kinda digging this ask I in the fridge is red pepper so maybe I'll try it with that. No guarantees it maybe just a eggs and bacon kinda night with the rainy weather and a sick little one. Sounds delish though! I think red pepper would work just great!